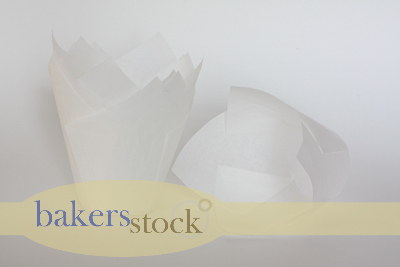 Bakers Stock is THE place to shop for all your baking supplies. Tulip baking cups - my favourite. Entry Deadline is Tuesday July 31st. 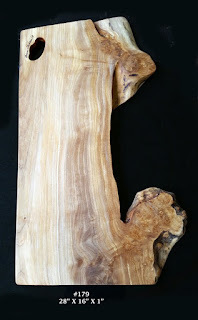 Winner will be announced here and notified by email Wednesday, August 1st. Thanks for giving us the opportunity to get some really "neat" free stuff. LOVE all of those baking cups. Would LOVE to win. I love these! Thanks for the chance to win! I'm in! Those are adorable! 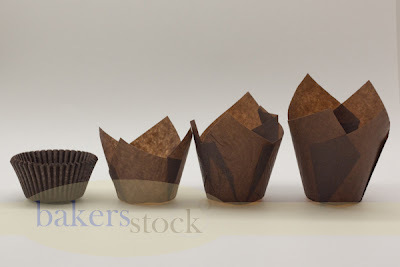 The brown cupcake liners and the polka-dot ones are so cute. I love the liners and your post came in at just the right time as I am on the hunt for some twine. I'm heading over to their site to see what they have! Thank you. Ann..we have the same taste:) I have the brown and whites..and the little brioche baking cups..I just finished my brioche baking cups w/ some Martha Stewart cupcakes..This is a great giveaway..never saw the reds.. I don't Facebook..but ..how can I not comment? I always do..you would think I had gone MIA:) Thanks for the tip on this company! Ann..I will order here:) Free shipping and great prices! Thanks! I didn't see that there was free shipping...Where did you see that? OOPs FAST shipping:) Still..great prices..stocking stuffers! 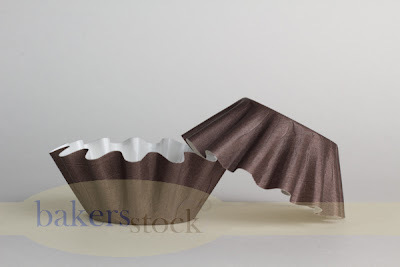 Love all of these baking cups! Especially the little brioche cups! What a lovely give away! Thanks so much for the opportunity to win! Me! Me! Pick me!!! Seriously.....what a generous offer! I'd love to have all of the above mentioned stuff! These would really dress up any cupcake!Thanks for the free offer. Keeping my fingers crossed for a chance to win. Thank you!! Love these. I would have so much fun decorating cupcakes for work with these. What great liners. 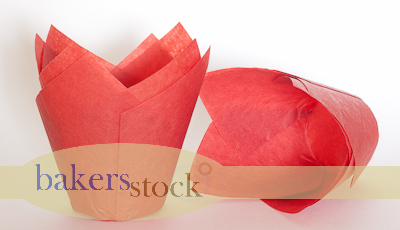 I have been thinking of cupcake liners lately as I'm just about out. Whoever wins will enjoy using these I know. I am so excited to hear of a place with fun colors of baking twine. I need to go look now. Cute baking cups! I have never used them and would love to be drawn as the winner! Ann, I love those brown liners. They make the cupcake look so professional, so European. definitely visiting the Baker Stock site for the great discount and stock up for winter baking! Thank you for the info and for the opportunity to win the giveaway. I liked the Baker Stock FB. I'd like to be entered , too. Lovely baker's goodies. Cool Liners...double duty for nuts or fruit at a shower or party! Going straight over to Baker Stock to look at all their goodies!! Fun! Oh My Gosh, those are adorable. I am hosting a baby shower in August and any of those would be so cute on the table! I think the baker supplies are so cute now a days. I love all the colors and shapes. Now I just wish I could bake! It's good to know of a site that will ship up here without too much fuss - I'll have a look. What a generous giveaway! 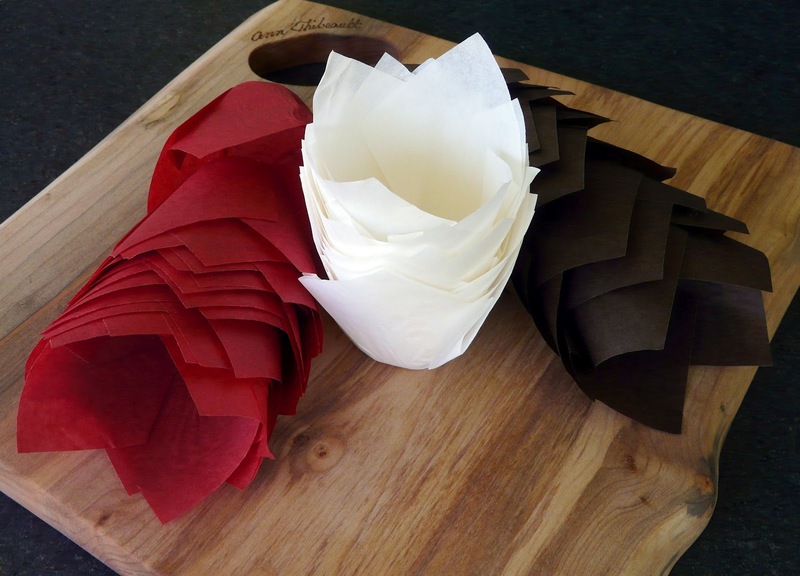 I will have to learn to do some baking because those liners are just so darn cute! Very cute! I would really like to win these for my daughter. She loves baking cupcakes for her family. These would take my baking to a whole new level. I have always admired all the lovely baking cups on other peoples blogs. Would love these! Way to impress people! This looks so fun! I just shared it on the My Favorite Finds FB page ;). I have always wanted to buy those tulip cups! Hope I win!!!!!!!!! 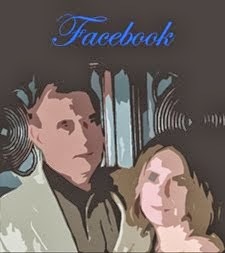 ...and I "Like"d them on FB! And...I'm going there to buy some stuff! 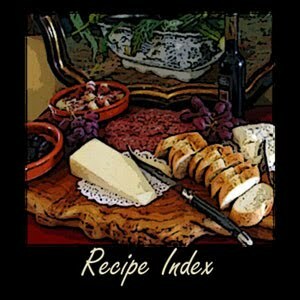 I love bakers stock products and I love this bog - the best recipes,and now this contest - Yay!! these are so lovely, i do hope to win. thanks for the chance. Lovely giveaway! 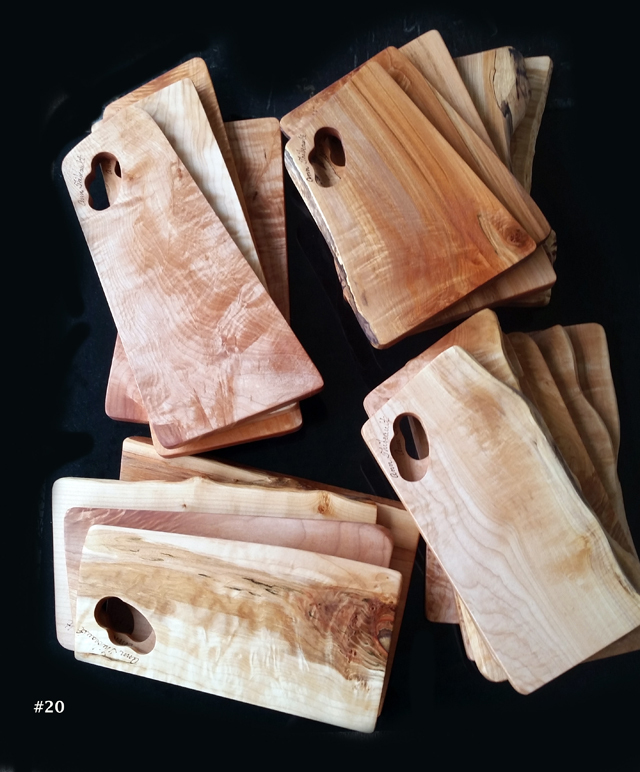 Following the link to visit Baker Stock! What a fun giveaway! I just did some browsing at Bakers Stock web site, and they have lots of fun stuff. 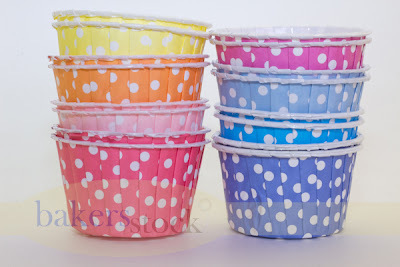 I especially love the Polka Dot Baking Cups. Thanks! I like Bakers Stock on facebook. I need all of those, thank you for posting it! I love to bake and I love all of those!!! 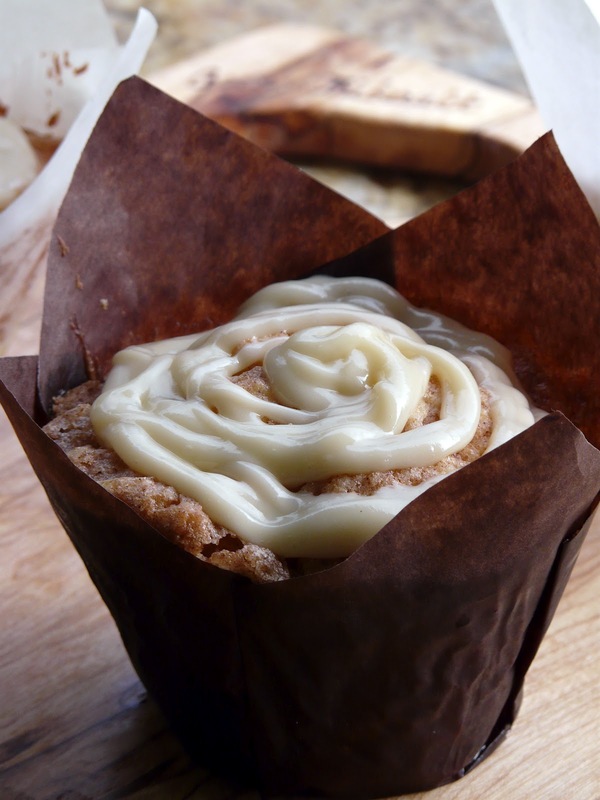 These would be wonderful for my weekly baking sessions! Thank you so much! Would love to win these! And I love your blog too! Kerry M.
Would love to win all this!!!! This is the absolute best blog and Ann gets my vote as the best cook and baker!!! Thanks for the contest! I enjoy your blog; I still have your pierogies tutorial bookmarked. 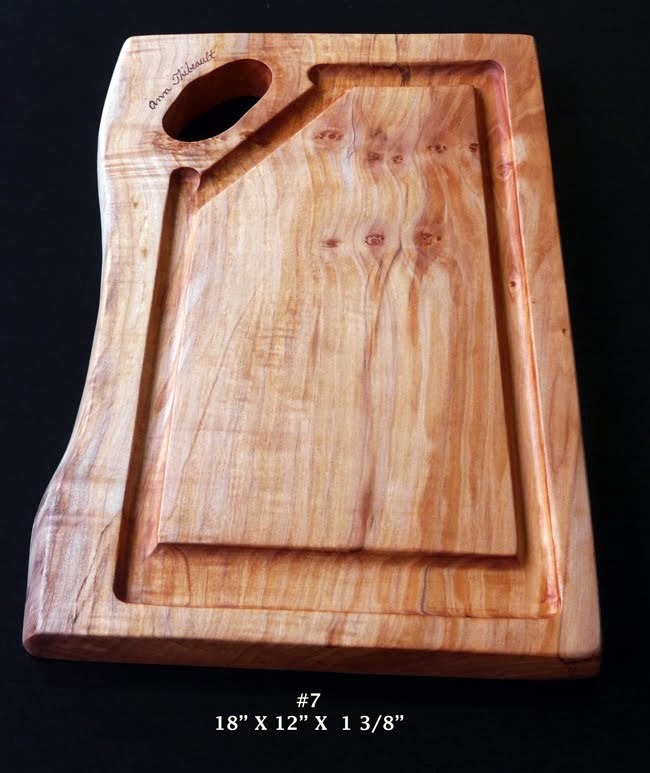 Thank you for the opportunity to win some beautiful bakeware goodies. This is a store I'm not familiar with and I live in eastern Canada. Love so many of their items. Plan to share with daughter who does a lot of catering! These would be great around the holidays! They're adorable...thanks for the chance to win some! Love the bakers cups. Enter me to win. Oh my, they are so cute! I would love to win. These are too cute!!! I'd love to win them!! I love Bakers Stock so much!!!! I follow Bakers Stock on facebook. Love the baking cups. What a great giveaway - Thanks! 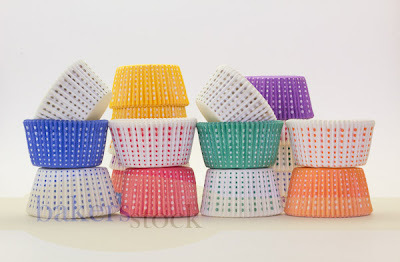 I am so obsessed with these baking cups! They're gorgeous! And I "liked" them on FB. This is me leaving a comment! :) Gimme those baking cups! I love these baking cups! Simple yet cute enough to make a statement with baked goods! I'd love to have them all! Cups make a great presentation! Love to win! Love the Bakers stock stuff!! Love the Bakers Stock items!